A true classic! 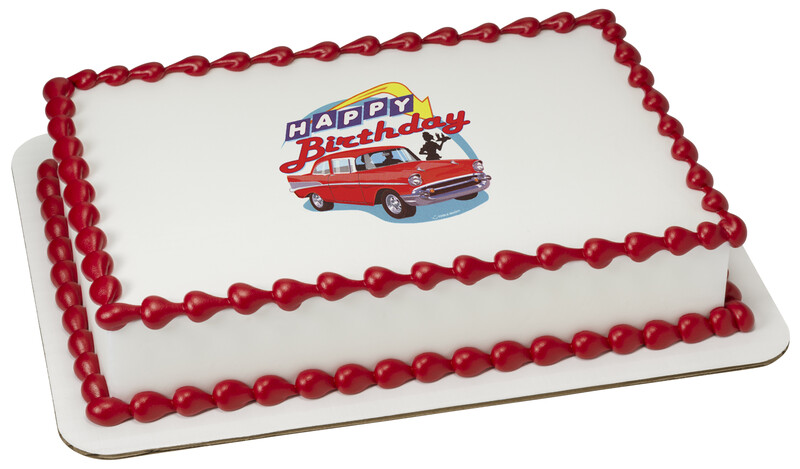 Help them remember the good old days with this classic 50's car Edible Image® icing decoration. Perfect for classic car enthusiasts. Order and personalize your cake today.